Aroma Description: Delicate, sweet, and smooth with a creamy-woody scent. Soothes aching joints and muscles. Great for skin care — tightens the skin and evens the skin tone. Provides an extra boost to the immune system. Given the above-mentioned benefits of Copaiba Oleoresin, there are many uses for this essential oil. Whether you suffer from a chest cold or want to avoid one, you can use Copaiba. With the benefits associated with digestion, achy joints and muscles as well as skin care benefits, you can see the uses for Copaiba are endless. Yes! This essential oil is safe for kids. We recommend a dilution of 2-4% for topical applications. For upper respiratory support, diffuse 3 drops each of Copaiba Oleoresin, Cypress, and Eucalyptus Globulus. Anywhere you are experiencing achy joints and sore muscles associated with normal aging or wear and tear, Copaiba can offer relief. It is also wonderful support if you’re needing relief from occasional digestive upset. Just dilute it appropriately with your favorite carrier oil and massage directly on the affected areas. For sore muscles that are just plain uncomfortable, mix 5 drops of Copaiba Oleoresin with 4 drops of Frankincense Serrata and add to 1 tablespoon of your favorite carrier oil. Then, massage directly onto the areas of concern and enjoy some well-deserved relief! To use our spotlight oil as part of this DIY, add essential oils to your aromatherapy diffuser to enjoy this sweet and uplifting KidSafe blend! 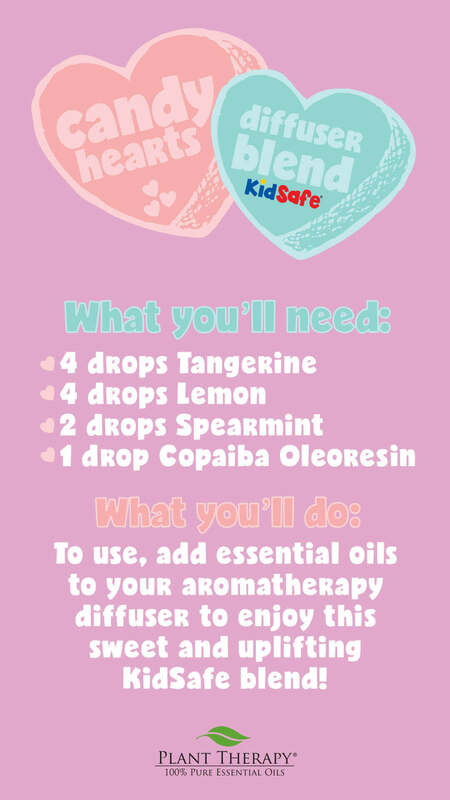 I have all the oils for Candy Hearts Diffuser Blend, and I’m going to diffuse it tomorrow since I have a little one and I cannot diffuse the oils and blends that are not kids safe, like Meditate and Tranquil! Any idea if this can be taken internally? My mom has been using this for her Restless Leg Syndrome. I am not finding this to be an oil that helps with that, but she has found a lot of comfort from it. Plus is smells awesome! I suffer from restless legs syndrome and also occasional digestive issues that leave my stomach and abdomen cramping. I’m curious if this would be a good oil to try for both or if there is a better option. I do like that it is described as a woody scent and not floral. I didnt realise how powerful Copaiba is…also heard that this oil can “amplify” the powers of other oils as well. Glad to have bought a big bottle of this! I had great experience with this oil when i had a nasty tooth infection. Rubbing some on my jaw line helped dull the pain between pain medicine dosages! I just got Copaiba…and I made a new face cream diluted with Copaiba, Amaryis, Elemi, and Vetiver. I REALLY love it! And the smell is soft and intoxicating to me! Sherry, I love the sound of that! How’s it working as a cream for you? Can you please tell me how many drops of each oil you used and the amount of carrier oil? I didn’t know I could blend all these together. I love copaiba! It has a very delicate scent and works almost instantly (for me) to relieve inflammation and pain.I can’t wait to try it in a roller with frankincense for wrinkle reduction! I just ordered and received this oil after hearing so much about it! I haven’t had a chance to use it yet, but I had to open the bottle just to smell it. I love the smell, and can’t wait to use it for some new blends! We can’t wait for you to try it either! Copaiba is so versatile! Love it! What does the “warming capabilities” mean? I am looking to use it for all of its benefits but especially soothing aching muscles and joints. But does it feel warm on the skin (almost like peppermint is cooling?) I am easily overheated and feel warm a lot and have sweating issues so as this oil sounds wonderful I’m not sure if warming would be the best for my skin. Any feedback would be greatly appreciated! That’s correct, Jessie. Rather than a cooling effect like Peppermint would have, it’s warming effect. Just got mine yesterday and I’m loving it already. Can’t wait to try Candy Hearts! Sounds Yummy! That will be tomorrow’s diffuser flavor of the day. I have been using copaiba with Juniper berry in my post workout blend. I like that it’s effective yet gentle at the same time.. 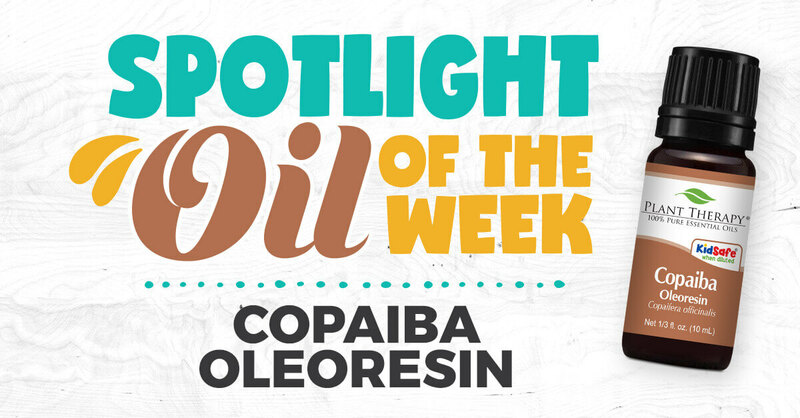 Some oils are a tad too overwhelming to the olfactory sense and may be unpleasant to others around me.. Love copaiba for its light and pleasant scent. Thank you for your post. I am going to add a few drops to my face serum to deal with an age spot. Keeping my fingers crossed! I love this oil! I use it everyday in my immunity blend. I have heard so many great things about this oil. I have arthritis extremely bad in most of my joints and want to try some of the helpful recipes on here for copaiba. Plan on ordering some when I get my money next month! This is one oil in my arsenal I seem to over look alot. Definitely going to add this to my muscle rub. Thanks PT. 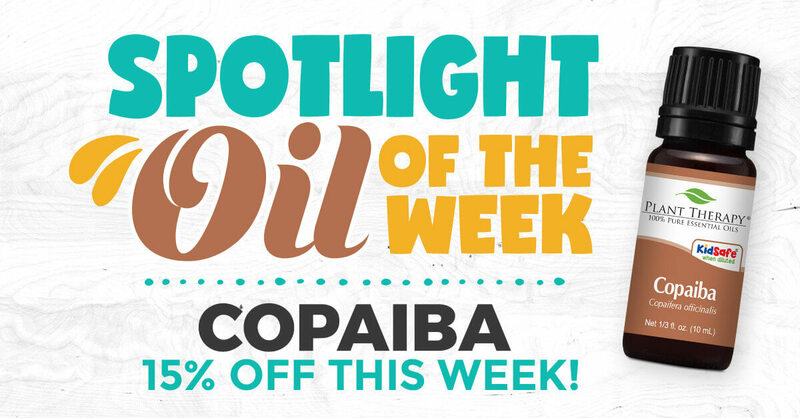 I’ve been working with Copaiba oil for a while, and it’s definitely one of my favorites! I have used Copaiba for pain relief for sometime with great results. I’m pleased to find out it has respiratory and immunity benefits as well. I will be adding to my diffuser today. I love this oil for achy sore muscles! It’s a personal favorite for them! 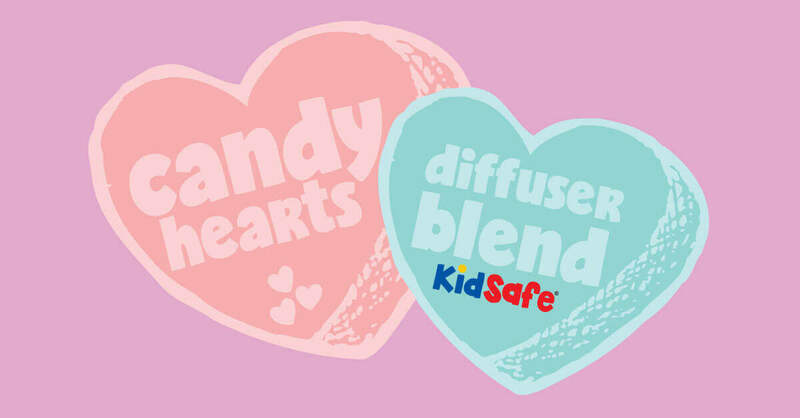 Thank you for offering so many kid safe blends to make at home! Love knowing which oils are safe for the whole family. This would be a Great addition with cold season fast approaching. I am eager to try this oil, I knew it helped aches & pains, but I did not know it helped for congestion. Definitely one I will have to try! I’m excited to buy some of this for my bff for christmas! This is her very favorite oil! It helps her with her fibromyalgia and other soreness issues! This sounds great. Can’t wait to try it. I’ve been eyeing this oil, so glad this is an oil of the month!!! I haven’t tried this yet but thanks to this post I am going to mix up a roller ball blend for my bff . She broke her arm a few weeks ago and I think this will give her some relief with the soreness while She is healing . She can’t take any strong meds. Hopefully this will help a bit. I ordered this one this morning after reading about it. I haven’t tried it before but and looking forward to receiving it! I love copaiba Thank you for putting it on sale I love your oils. Can’t wait to get more of this one. You guys rock. I absolutely LOVE copaiba for winter time respiratory illness in the house. I use it with frankincense and lemon in the diffuser as an alternative to the germ blends…just to switch it up a little! Wow! This sounds like a great blend! Thanks! I have not tried this oil yet but I always have congestion during the winter so it sounds like a great oil to try!! Great post with lots of helpful information! I have been wanting to get this oil for a while, I have heard so many amazing uses and benefits. You’ll have to give it a try and let us know what you think! I love this oil for use in most of my pain blends. May have to stock up now! On my ‘gotta have’ list! Thank you for giving me an excuse to order this one!!! I’ve been wanting to try it for quite some time!